One of the best compliments that a company can receive is when a customer places another order after experiencing that company’s service. An even better compliment is when a customer refers that business to a friend or colleague. When we refer a friend to a business, we are putting our ‘stamp of approval’ on that business and putting our reputation on the line too. We hope that the company will provide that excellent customer service every time so that our friend doesn’t blame us if things go wrong. That is why referrals are so valuable to a company and why excellent customer service should be every company’s number one priority. What constitutes excellent customer service? This may include an informative and easy to use website interface, a friendly human voice when the company answers the phone, the outstanding quality of the service they provide, and its caring interactions with the customer long after the service has been completed. When was the last time you ordered something and didn’t receive an email confirmation or reply that your precious purchase was on its way? The communication that a company has with its customer says a lot about the way it conducts its business. In the end, putting the customer first is the most important aspect to excellent customer service. How can you tell if a company has excellent customer service? In the world of doctors and restaurants, you can rely on services such as ratemds.com or Yelp, but what can you do for other types of business except experience it yourself? One way is to look at resources such as Facebook. If a company is not doing a good job, their Facebook page will likely have few ‘likes’ and little interaction. They may not have any Facebook reviews, or worse, poor reviews. In addition, the company may not answer questions posed by guests to their page. However, Facebook is an acquired skill and not everyone managing a Facebook account has figured it out. Therefore, the best way to find out about a business is to find people that have used the service and ask “how did it go?” or “were you pleased with the results of the service you received?”. A referral from a friend is probably the most valuable review you can get. When a customer registers on the Paw Print Genetics website, we ask them how they heard about us. This information provides us insight into how we are reaching our customers and how we can better serve them. When we started the company, the only way to reach prospective customers was to go to them, so we started going to dog shows; 25% of our customers indicate that they met us at a dog show, but 42% indicate that they learned about us from a friend! In addition, 12% of customers learned about us from Facebook. This could also be considered a ‘friend referral’ because they likely saw a friend ‘like’ or comment on our Facebook page. It is a huge compliment for us that over half of our customers heard about us through a friend. Finally, we feel honored that 18% of our customers have used our services more than once and 33% of those have used our services three or more times! 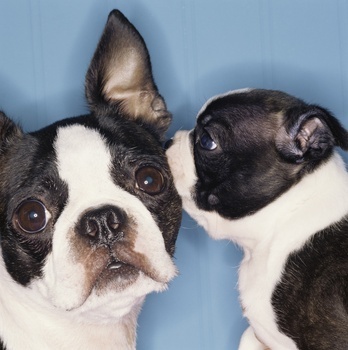 Both friend referrals and loyal, repeat customers say a lot about a company. Paw Print Genetics is proud to be one of those companies that you can count on for excellent customer service and quality genetic testing with results that are accurate and reliable.